A man who repeatedly stabbed a takeaway owner for forgetting his regular chips order has been jailed for 14 years. 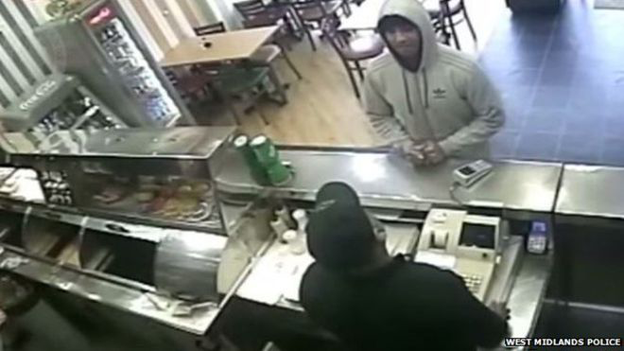 Leon McTaggart, 29, attacked Narinder Sidhu, 51, at Simply Fish and Chips in Hagley Road West, Quinton, on 7 November. Police said the victim was stabbed five times when he confronted McTaggart after he broke a pane of glass. 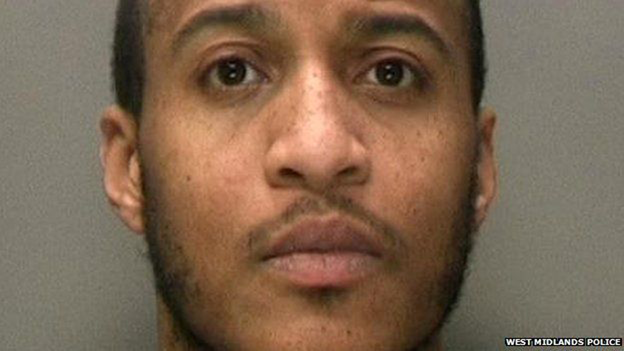 McTaggart, of Hagley Road, Birmingham, was convicted of wounding with intent at a previous hearing. Police have said Mr Sidhu was left fighting for his life. McTaggart launched the assault after slamming his fists on the counter and asking his victim: "Do I look like an idiot?" The judge, who heard the victim still suffers difficulties in sitting and lying down, said McTaggart kicked back his legs, smashing a glass door. He told him: "I don't know why you acted in the way you did. "Whether you were on drugs I don't know. On the one hand this was irrational behaviour of the most violent kind, on the other you have no history at all of serious violence." Mr Sidhu did not see a knife during the attack and initially believed he had been punched. He was admitted to intensive care, placed in an induced coma, underwent surgery, and spent two weeks in hospital before being discharged. McTaggart, who was arrested at his bedsit after being identified through an appeal on social media, stabbed Mr Sidhu in the arm, chest and back. He has previous convictions for burglary and was on bail for throwing a phone at a police officer when the stabbing occurred. McTaggart denied possession of an offensive weapon and Judge John Warner, sitting at Wolverhampton Crown Court, asked the charge to remain on file. In a victim impact statement read to the court, Mr Sidhu said he was still anxious that his life would be shortened as a result of his injuries. He said: "I truly believed that I faced death."